Ducats - Our City. Our Money. List of participating shops and businesses (click here). We have just relaunched Ducats Dollars to celebrate our first birthday. The media were wonderful (WIN TV, Shepparton Adviser, Shepparton News and ABC Radio - Goulburn Murray) all covered the event and have given us some great coverage. 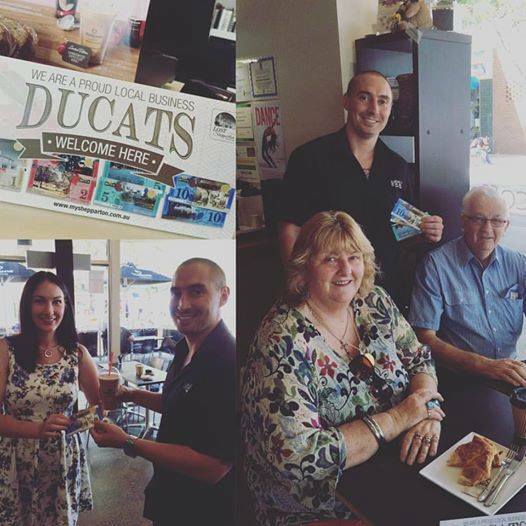 We now have 30+ businesses accepting Ducats and a number of them are paying their staff a special bonus using Ducats. ​Here is WIN TV's story. ​Shepparton Ducats now being accepted in Mooroopna. Purchase a few sample Ducats. New and uncirculated. Email us. 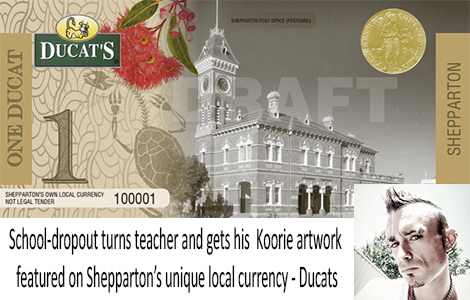 Ducats Currency is now an official not-for-profit association, Shepparton Ducats Currency Inc A0095992U. 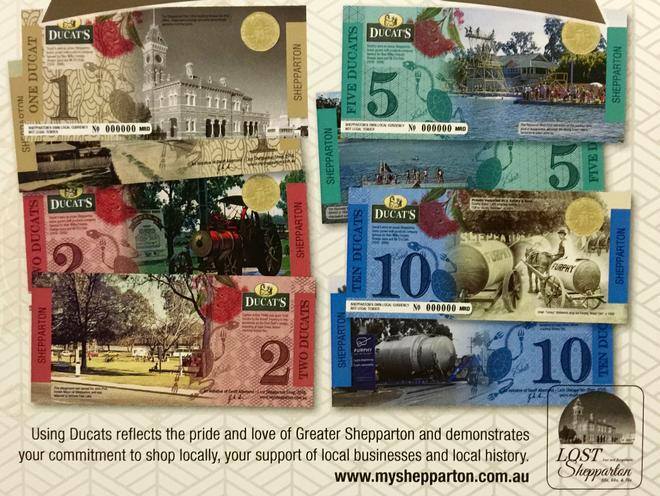 ​Our mission is to promote a local currency that supports Shepparton's own businesses and keeps more of our money local. The association overseas the management of the project and all its financial operations. Any profits above costs will support local community organisations. Convert your Dollars into Ducats and you get a bonus 10% to spend at a number of local businesses. What a bargain. 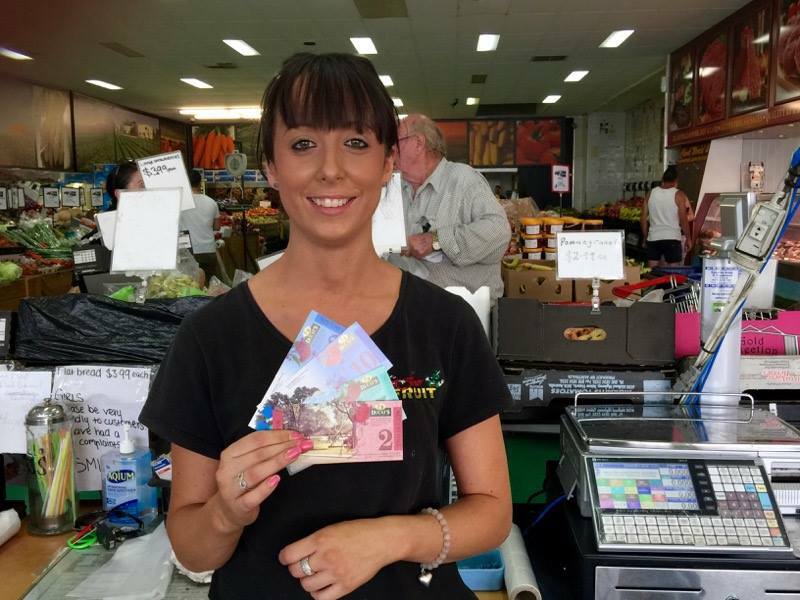 Visit the Ducat Exchange at the Lost Shepparton Shop, 204 Corio St.
​Or ask for Ducats when you get change at one of these local businesses. One Ducat = One Dollar. Will get more shoppers wanting to do business with you because you accept Ducats and you will be able to measure its success. More people will be aware that you are locally owned/managed. 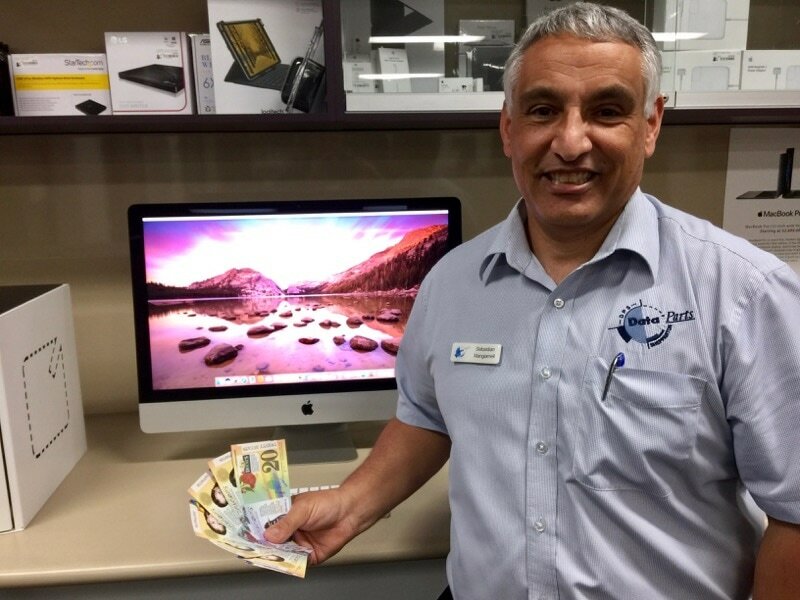 More Ducats in your till = more locals choosing your business. Now FREE to join from 2017. 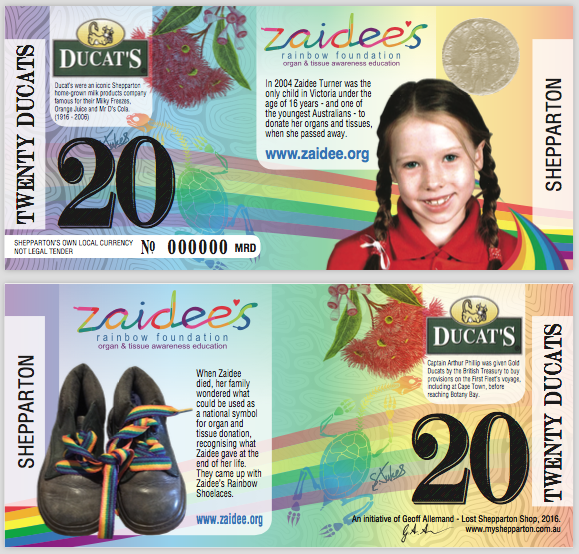 A Shepparton-based currency will be launched at the end of the month, in what's being touted as an Australian first.Around 20 businesses have already signed up to accept "Ducat dollars". Young Koorie Artist Shannon Jukes produces some stunning art for our first edition Ducats. Our sets of 4 notes for collectors have been very popular. People who live out of Shepp can now order them online. Cost $30 includes postage, an info sheet and individual display sleeves. Notes are new and have been withdrawn from circulation. Send us an email if interested.